Moving up the property ladder can be a daunting task, however help is available at Newland Homes developments, including the impressive Tywning Green. 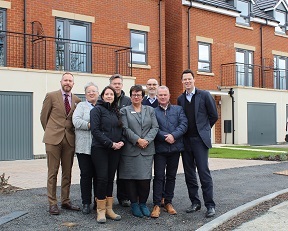 Tucked away behind the village green in Twyning, there are currently a handful of four- and five-bedroom homes available which can be purchased through the government’s Help to Buy scheme. The Help to Buy scheme offers a 20% equity loan from the government, which is interest free for the first five years. It is available to all buyers who can provide a 5% deposit and who can obtain a capital repayment mortgage for the purchase of their main, and only, property. 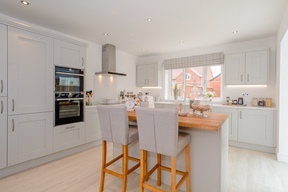 The Help to Buy scheme is available on all new build properties with a value of up to £600,000. 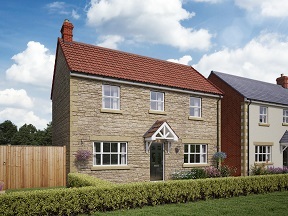 This means that a four-bedroom Winchcombe home at Twyning Green, with a market price of £560,000 can be bought with a £28,000 deposit plus a £420,000 mortgage. The 20% equity loan is interest free for the first five years; after this period, the rate rises to 1.75% and rises annually by the increase, if any, in the Retail Price Index plus 1%. The four-bedroom Winchcombe is a charming, traditionally elevated detached home with open plan kitchen/breakfast leading into a conservatory, ideal for contemporary living. The five-bedroom Hanborough is an imposing detached home with magnificent master bedroom suite, and ensuite to bedroom two. Properties benefit from a double or single garage in addition to generous driveway parking. Gail Remnant, Associate Sales Director, explained: “Many househunters think that they are not eligible for Government assistance when buying their new home, however as long as a new build home is under £600,000 and the purchasers can get a capital repayment mortgage, then the Help to Buy scheme may well be available to them. Four bedroom Winchcombe homes start at £560,000, which would require funding of just £448,000 through a deposit and mortgage if using the Help to Buy scheme. 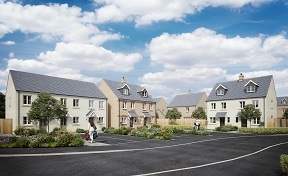 The five-bedroom Hanborough homes are £585,000 or just £468,000 together with the Help to Buy scheme equity loan. 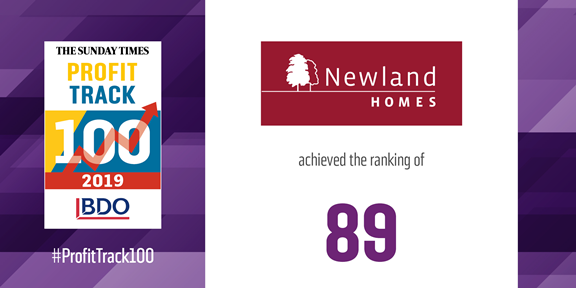 For more information on Newland Homes at Tywning Green, click here.